This post was created in partnership with BJ’s Wholesale Club. All images and opinions are my own. At 32 weeks pregnant, baby preparations have escalated to a whole new level in our house. Most of the baby’s furniture has arrived and thanks to our friends and family, Baby D has lots of clothes to wear. Regardless, it seems like our “to do before baby” list somehow keeps getting longer instead of shorter! Luckily, we’ve got a one-stop shopping destination in BJ’s Wholesale Club, just about 15 minutes away, that is perfect for our growing family! 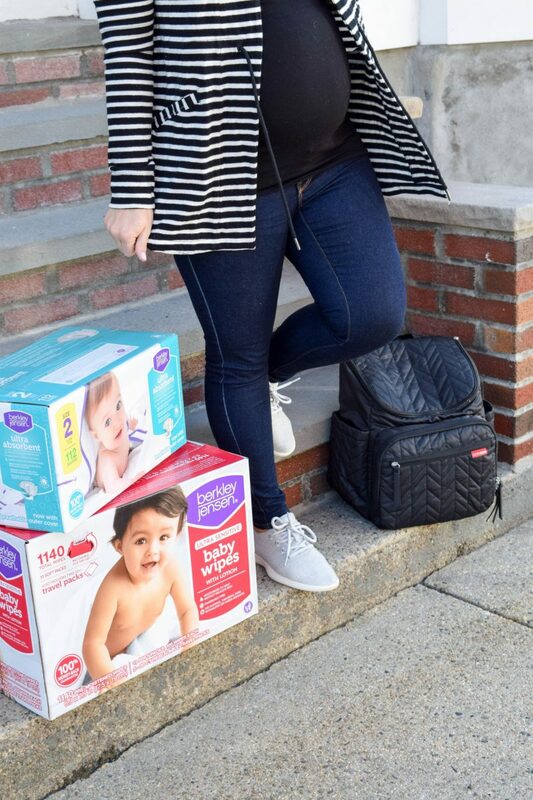 While BJ’s offers so many baby essentials like car seats, strollers, skincare and formula at prices that are on average 25% less than your typical store, my most recent trip to BJ’s was dedicated to stocking up on diapers and wipes. Moms, correct me if I am wrong, but I am going to go out on a limb and say there really isn’t a limit to how many of those you can have 🙂 . 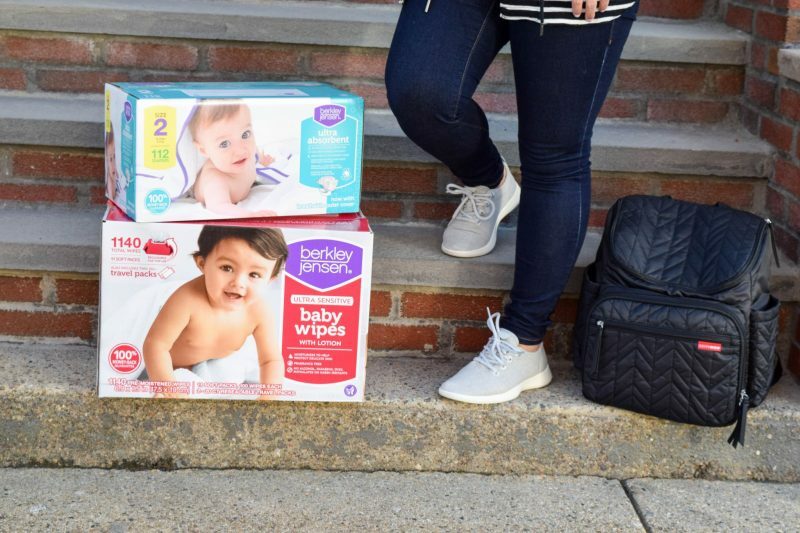 Not only does BJ’s offer low prices on leading brands, but their own exclusive brand Berkley Jensen- which includes both diapers and wipes- is completely committed to providing the best quality products for the best value. 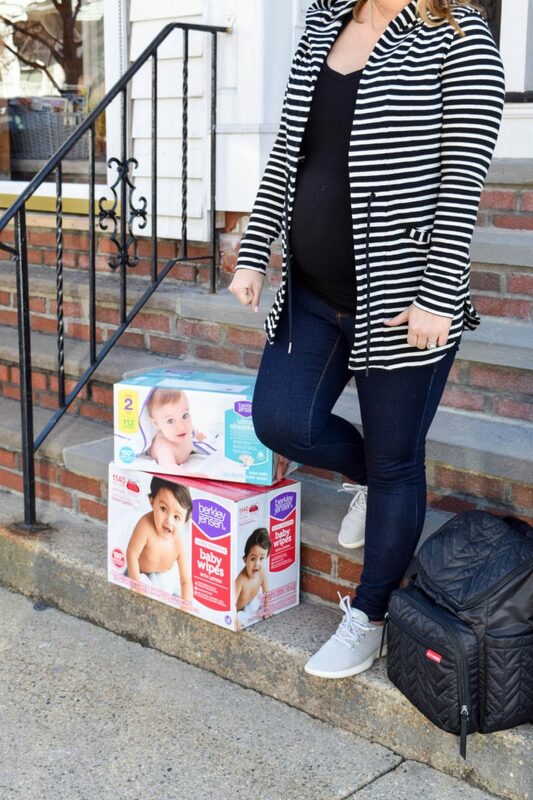 During my BJ’s baby prep shopping spree, I picked up Berkley Jensen’s ultra absorbent diapers and their ultra sensitive baby wipes. 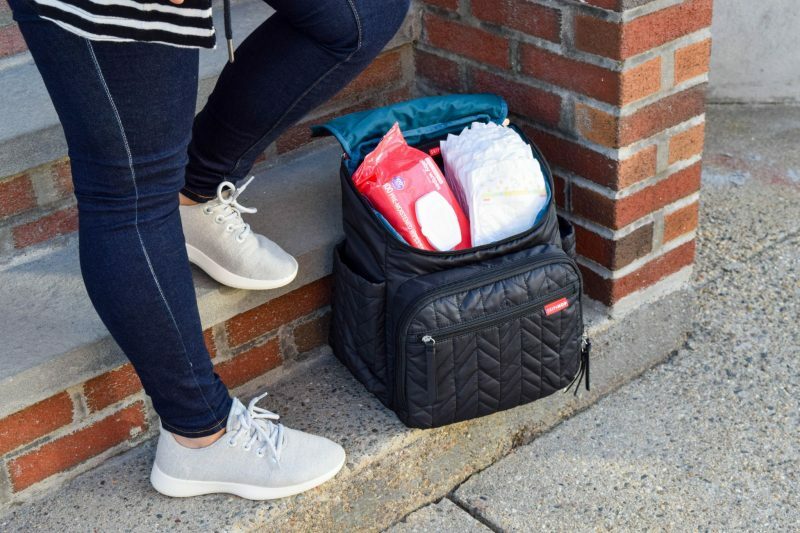 As a new mom, I feel super comfortable knowing that all Berkley Jensen items including their diapers and wipes have been created and tested for reliability. And reliability is key when we are talking about diapers, am I right?! 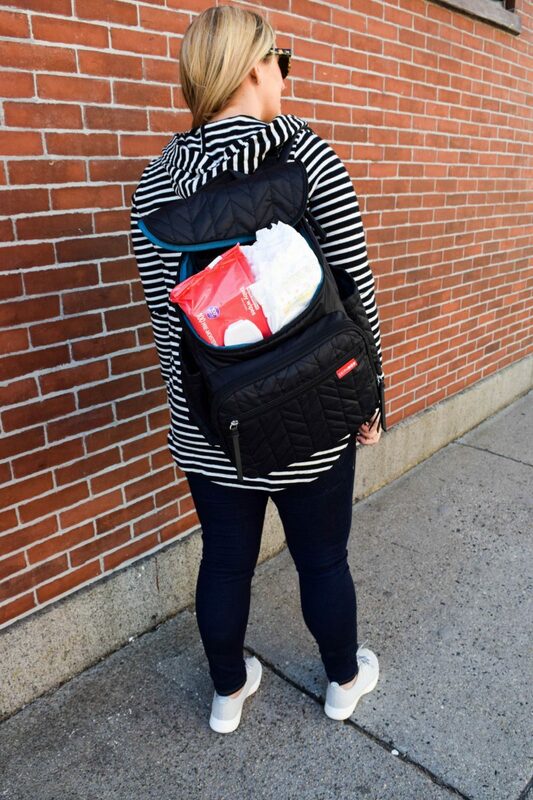 Besides having just about anything and everything moms (and moms-to-be) could need for their baby, BJ’s has several different shopping options making things even more convenient. With in-store shopping, online shopping at BJs.com and the BJ’s mobile app , there isn’t any reason to not shop at BJ’s. Especially since BJ’s families can save up to $500 a year on their purchases compared to the typical store. That’s reason enough for me! Of course we are all friends here, so I’d never keep the savings a secret from you guys- if you aren’t already a BJ’s member, you can actually join for yourself online by clicking here. Not only will you now be part of the super savings that is BJ’s Wholesale club, but you’ll receive a $25 gift card when you sign up! I’m feeling super grateful for my BJ’s membership for helping me prep for baby! Mamas, what other essentials should I absolutely stock up on before our little guy arrives?